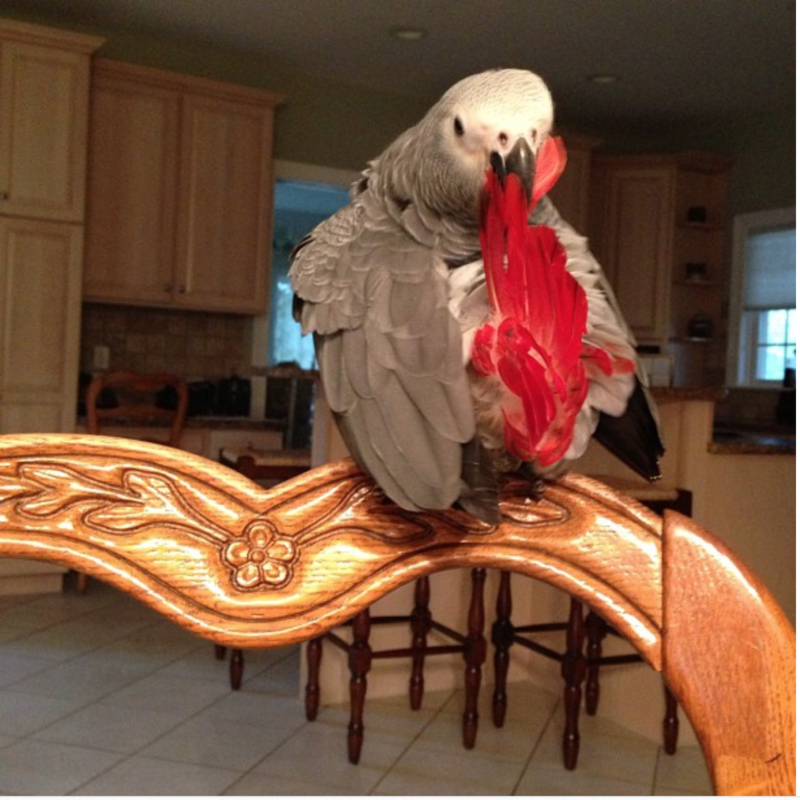 Our family owns a 1 year old African Grey Parrot named Ruby (because of her tail). 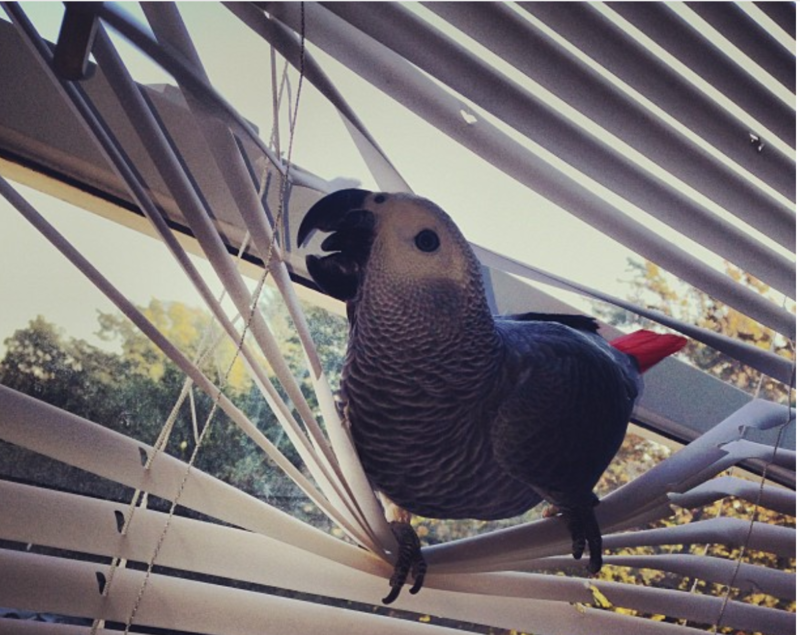 She is the smartest bird I've ever met. But, she's also a ton of work. She bonded early with my dad, so he's her favorite. When she was little she was so sweet, then went through a REALLY MOODY stage, and now shes back to her sweet old self. When we bought her she was missing a few feathers on the top of her head. The vet said they would grow right back, but they are still missing. It doesn't bother her much though.. shes just a very special bird. On the other hand, my Budgie River is a must easier to care for. Plus when Ruby bites... IT HURTS... bad. River bit me the first day I got him and I laughed because, even though he tried to bite hard.. it just doesn't hurt. By the way, River hasn't even tried to bite me since the first day I brought him home, but thats besides the point. THIS IS ABOUT RUBY RED! and how beautiful she is. So I hope you enjoy the pictures. Ruby is a gorgeous girl! How wonderful that she and your Dad have such a great bond. Thanks for sharing her pictures with us. She is gorgeous! How old is she now? I will definitely take more pictures (on my good camera) when I go visit my dad and Ruby. She is almost 2 now.. I took care of her when she didn't even know how to use her feet and fed her formula, I loved every minute of it. We kind of let her out of the cage too much, so she gets a little upset when we put her in. She basically took over a whole room of our house haha. She is literally a little human. But my dad is working on it and trying to get her to not be stressed inside the cage. Although, I think my dad would love to just let her stay out all the time. Ruby is a beautiful girl! Thanks for sharing the adorable pics with us . 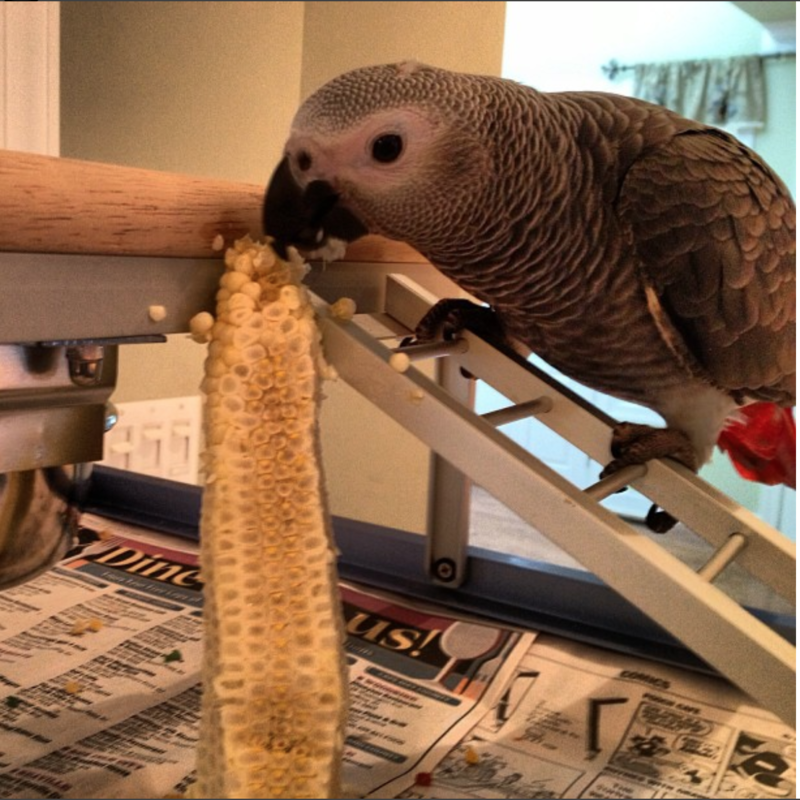 African Greys always amaze me with their intelligence. 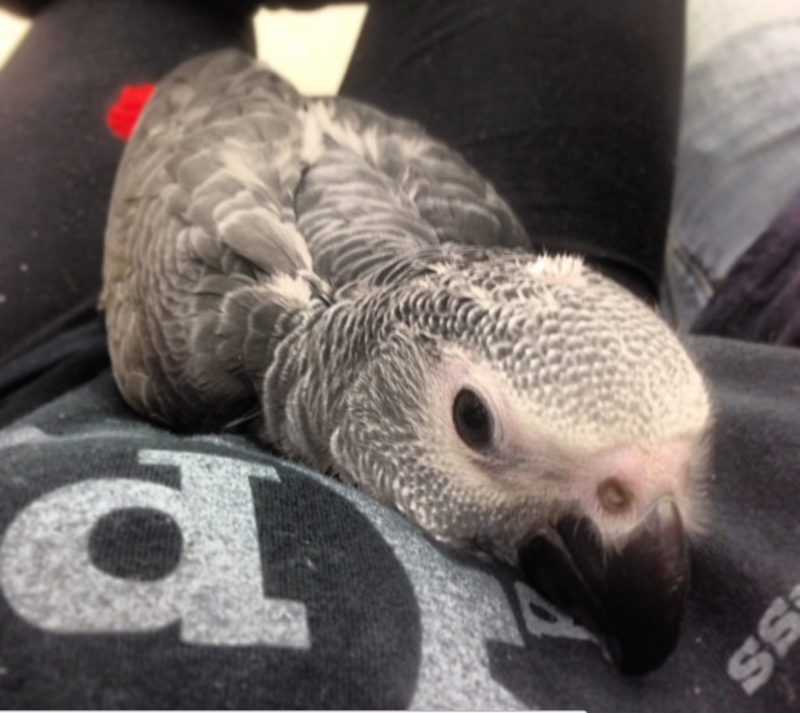 I have parrots as well, and yes the bites hurt worse than budgies .